Hans Haacke is a German-American painter and conceputal artist who currently lives and works in New York. A student in painting at the Staatliche Hochschule für Bildende Künste, Kasel (1956-60), Haacke became involved with the Zero group in the 1960s. Using non-traditional materials and methods, the group's work was formally minimal and often alluded to movement. 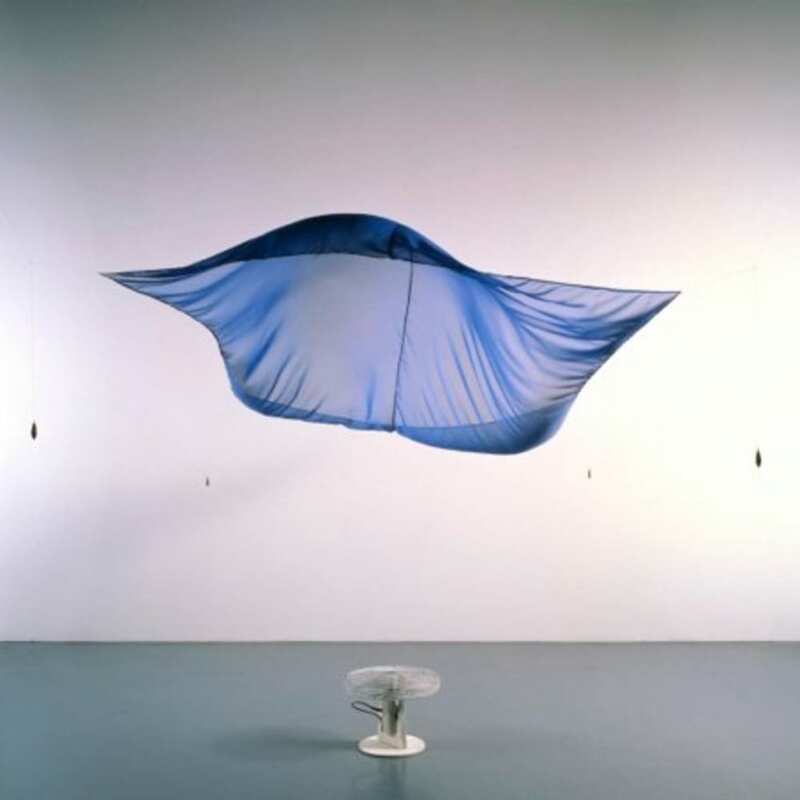 The influence of this group would remain evident in Haacke's later work, including Blue Sail, 1984. This work consists of a piece of blue chiffon, suspended with fishing wire and weights over an oscillating fan. As the fan moves from left to right, the fabric gently lifts and hangs weightlessly in the air. More recently, Haacke's work has become more politicised, including pieces challenging art censorship, advertising and focusing on the distribution of power in the art world.